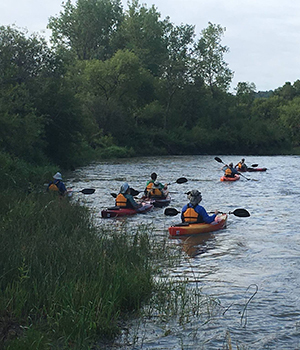 The Pembina Gorge State Recreation Area has become a top destination for adventure seekers throughout North Dakota and the surrounding states. 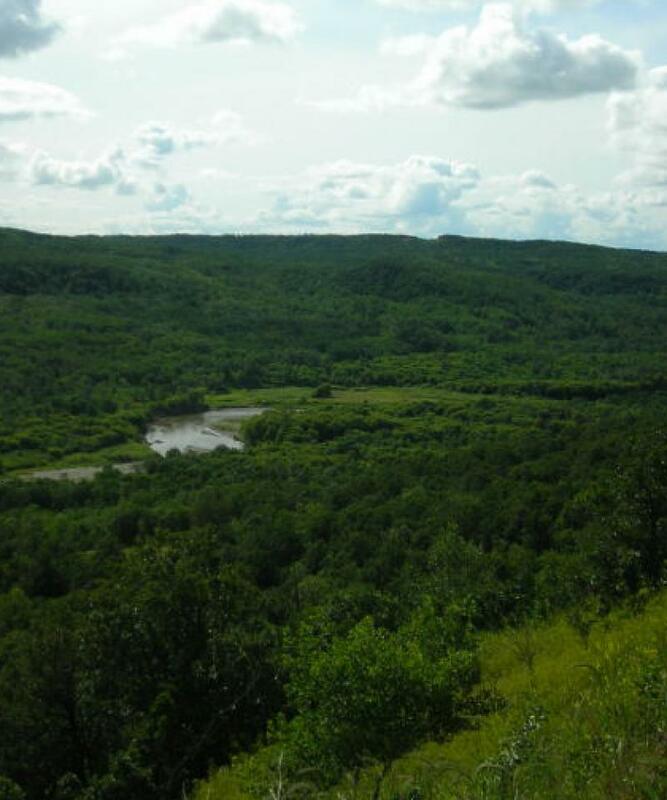 The Pembina Gorge State Recreation Area encompasses over 2,800 acres of public land in the Pembina River Gorge. With steep valley cliffs towering over small, isolated prairies and pocketed wetlands surrounded by the largest continuous, undisturbed forest in North Dakota, its stunning beauty is simply unmatched. 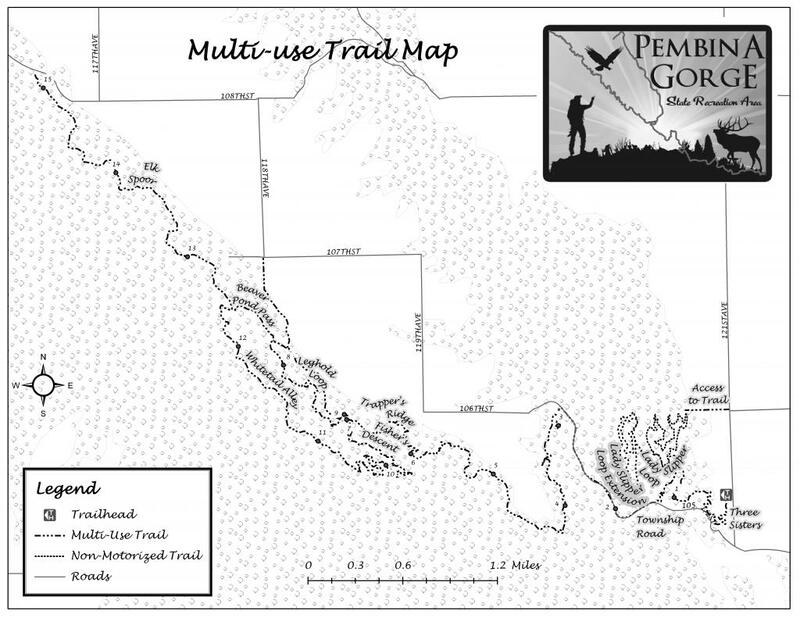 With over 30 miles of trails, the Pembina Gorge provides visitors with an exceptional outdoor experience. 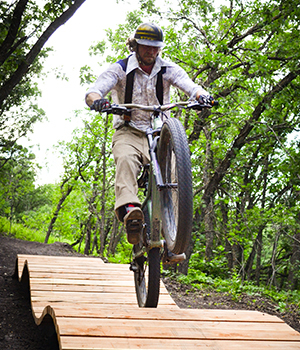 The trails at the Pembina Gorge are open to horseback riding, hiking, kayaking, mountain biking and off-highway vehicles (OHV). In order to maintain a safe & sustainable trail system, we close the trails following a significant rain event to allow the water time to shed off the trail. 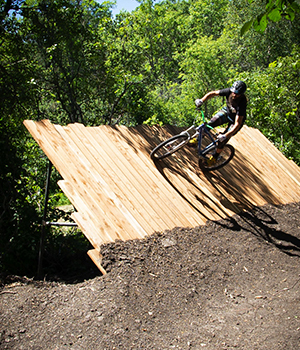 By doing this, rutting is minimized on the tread and it takes less time for the trails to re-open. The goal is to avoid damage to the tread & long-term closures. 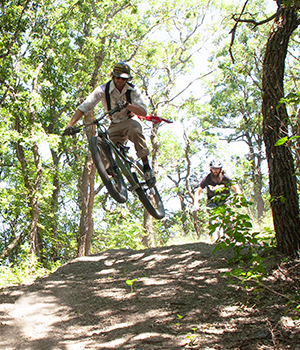 We monitor the trails very closely and will open the trails again as soon as possible. Call us or check our Facebook page for updates. 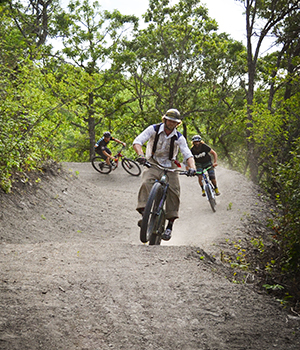 Riders are also able to ride over 20 miles of trails located in the gorge. Please note that all of the trails except Lady Slipper are also open OHVs, horses, and hikers. Lady Slipper Trail is non-motorized trail open to bikers, hikers, and horseback riders only. 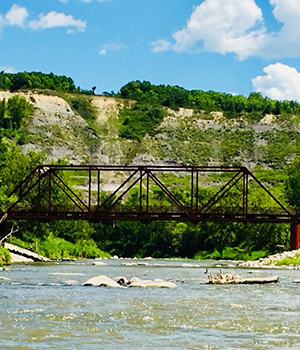 Kayak the Pembina River and enjoy the amazing views of the Pembina Gorge. 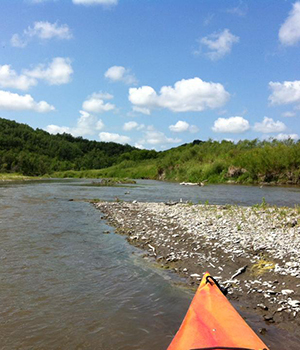 The Pembina Gorge State Recreation Area offers kayak rentals for $8 per hour or $50 per day. 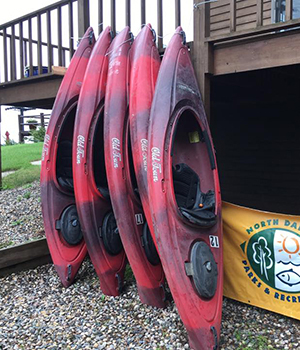 Life jackets and paddles are provided with your rental. The recreation area also offers to transport kayakers. The transportation fee is $25 to be transported from the Brick Mine Bridge or $30 to be transported from Walhalla. 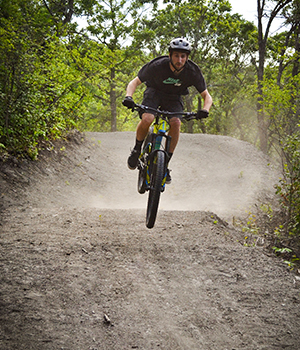 With the extensive trail system, the Pembina Gorge State Recreation Area is a one of a kind riding experience for Equestrians. Please note that all of the trails except Lady Slipper are also open OHVs, bikers, and hikers. Lady Slipper Trail is non-motorized trail open to bikers, hikers, and horseback riders only. Equestrian riders need to purchase a horse pass. Daily and annual options are available and are required per horse. Permits are available for purchase in the office or online here. 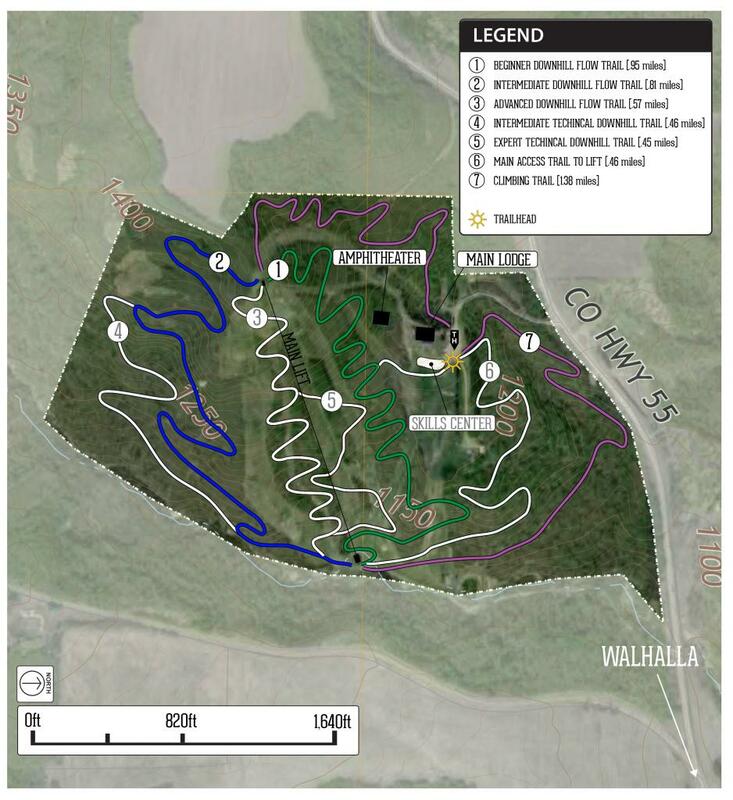 The money generated from these fees goes towards maintaining horse trails. 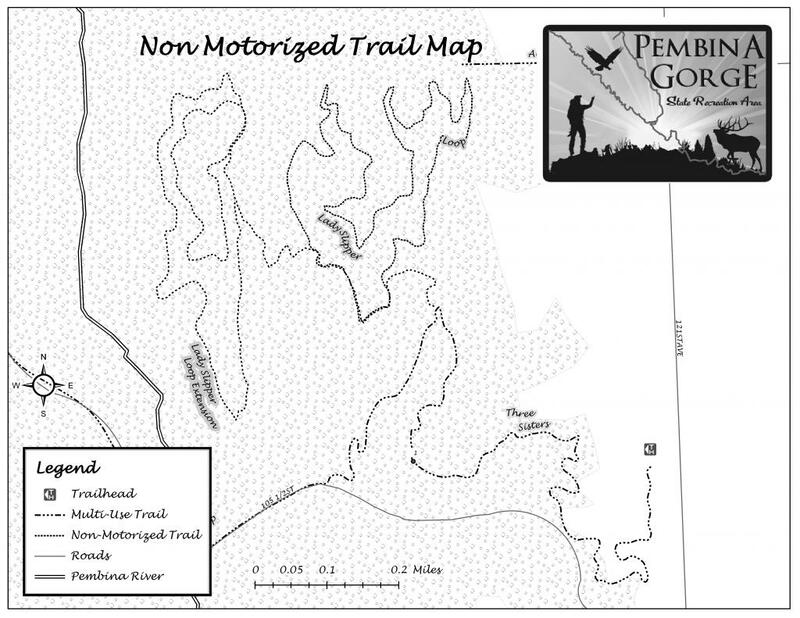 Explore the Pembina Gorge on your ATV or dirt bike. The trailhead is located 1 mile north, 1 mile west, and ¼ mile north of the beautiful Walhalla Country Club. Permitting, classes information and rules and regulations are available here.